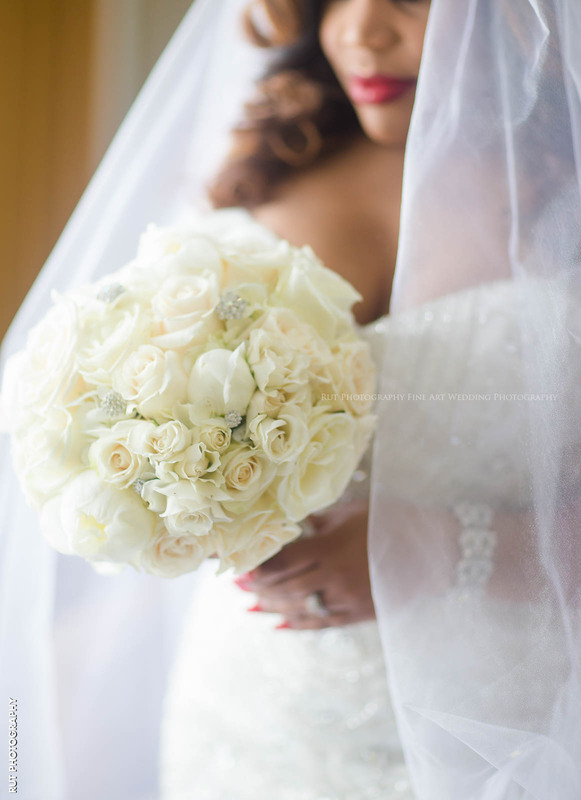 Your wedding plans are in full effect and the next item on your list is a bridal bouquet. Perhaps you have some general ideas of which flowers you’d like to choose, but there’s a lot more that goes into the design. 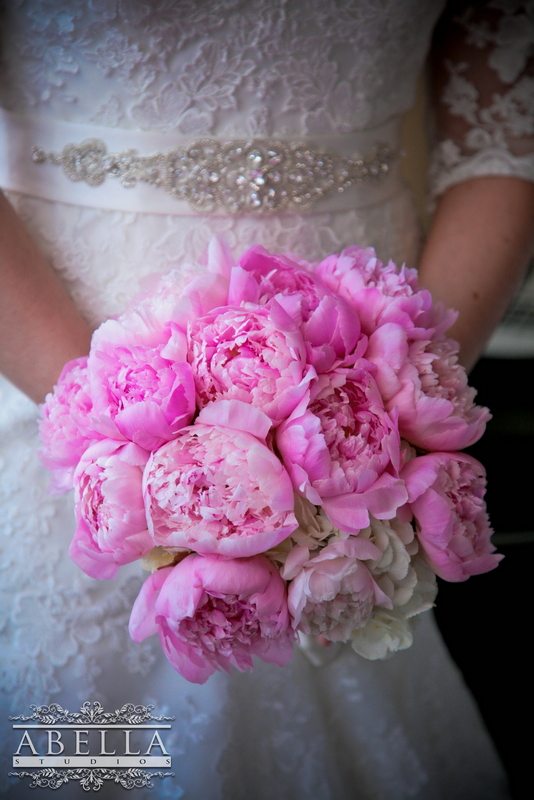 Acting as an accessory to your wedding dress and a compliment to the overall decor, your bouquet needs to stand out. If you’re not sure how to make that happen, these photos of beautiful and creative bridal bouquets can provide you with inspiration. If you really want to turn heads on your wedding day try walking down the aisle with a bouquet of something other than flowers. No really. 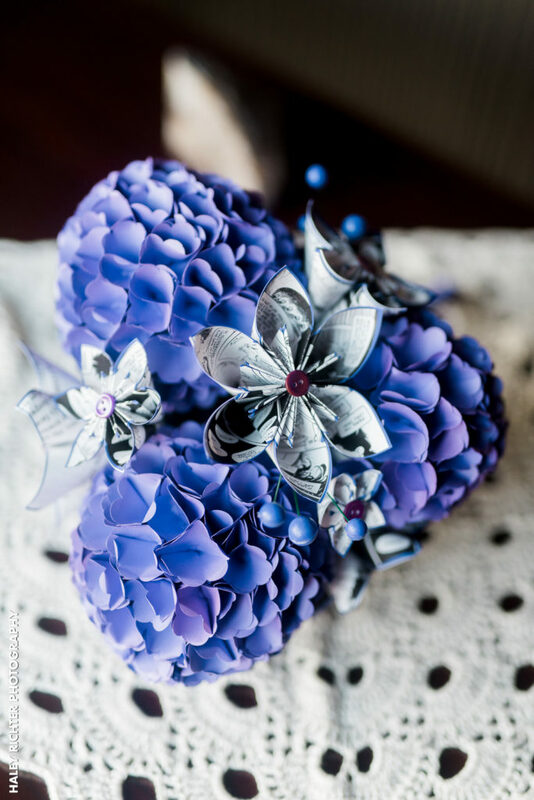 Some of our brides at Versailles Ballroom in NJ and other wedding venues have designed unique bridal bouquets using creative flower replacements. We’ve seen jewels, pinwheels, origami, and more. 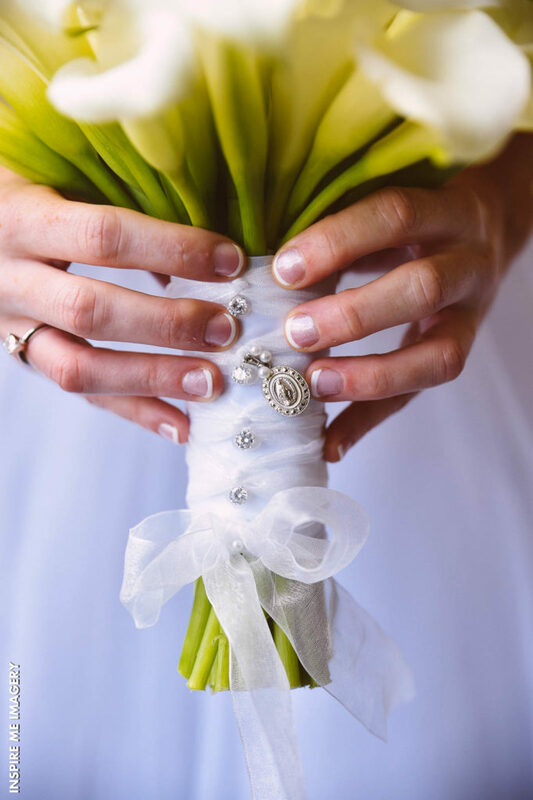 Love the idea of holding flowers on your wedding day? 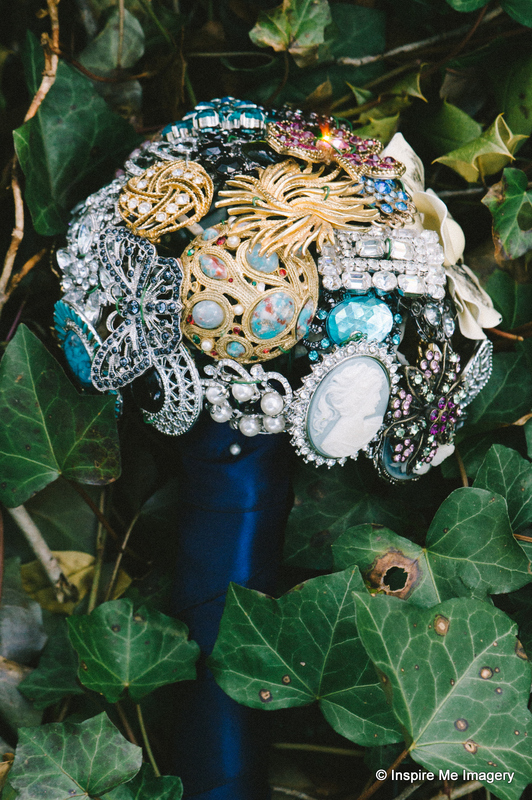 No worries, there are still ways to make your bouquet stand out. Perhaps give it a little sparkle bad incorporating gems, jewels, and even glitter. As you’re walking down the aisle, the light will hit it and give your bouquet that extra wow factor to accent your stunning wedding dress. 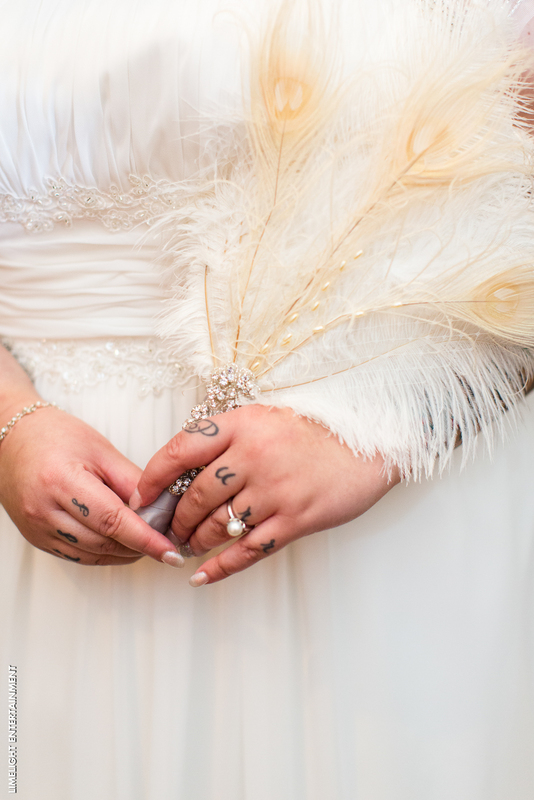 Is there someone you care deeply for who you’d like to hold close to you on your wedding day? Perhaps a loved one who passed away? 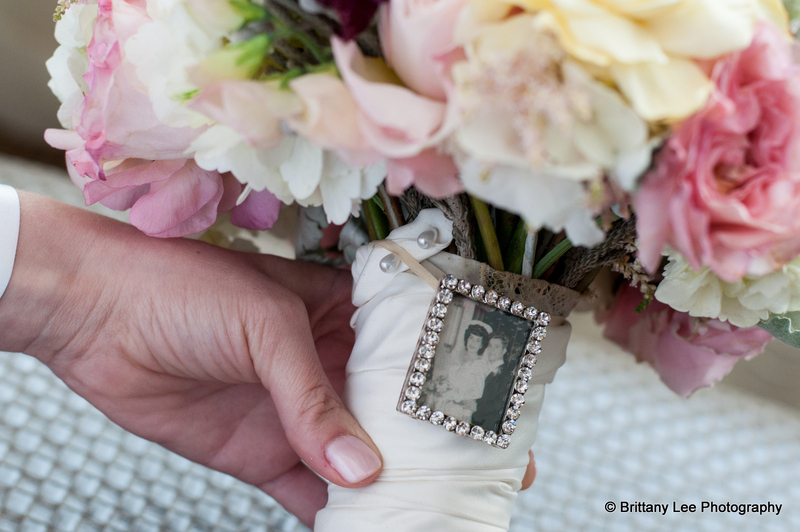 One way to honor their memory and have them with you on your wedding day would be to attach a tiny photo to your bridal bouquets. 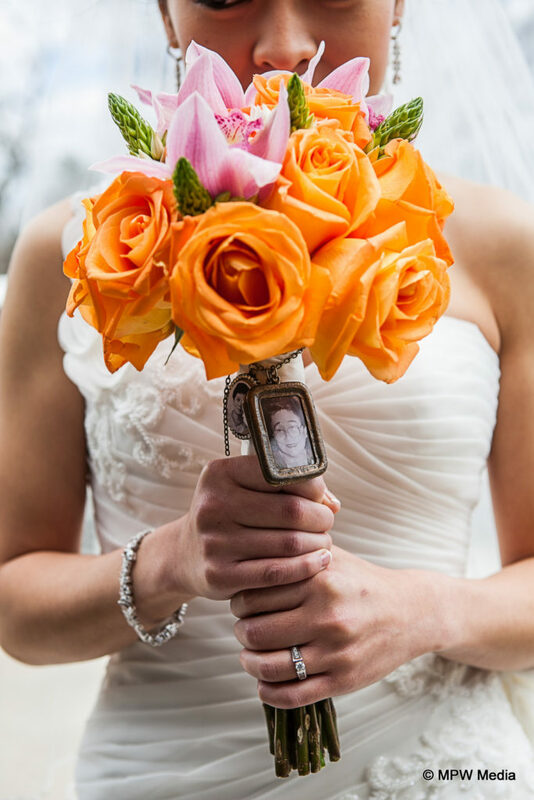 If you’d like to stick closer to the tradition of a beautiful arrangement of flowers in a perfectly shaped bridal bouquet, choosing a bold color is another option. If your dress is a traditional white or ivory, why not choose a vibrant color like yellow, bright pink, or purple? 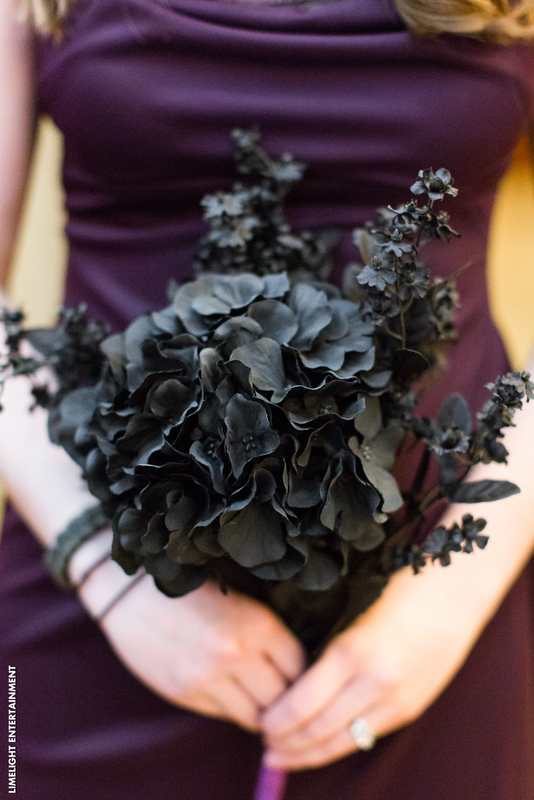 If you’re really feeling daring, you can opt for black like this bride did. 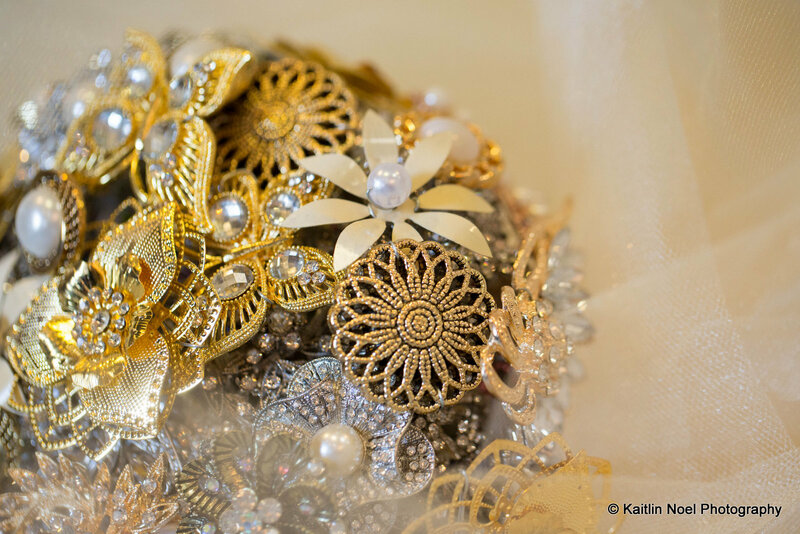 Every detail of your wedding attire matters.Your bouquet is an extension of your wedding dress and, therefore, should be just as stunning. 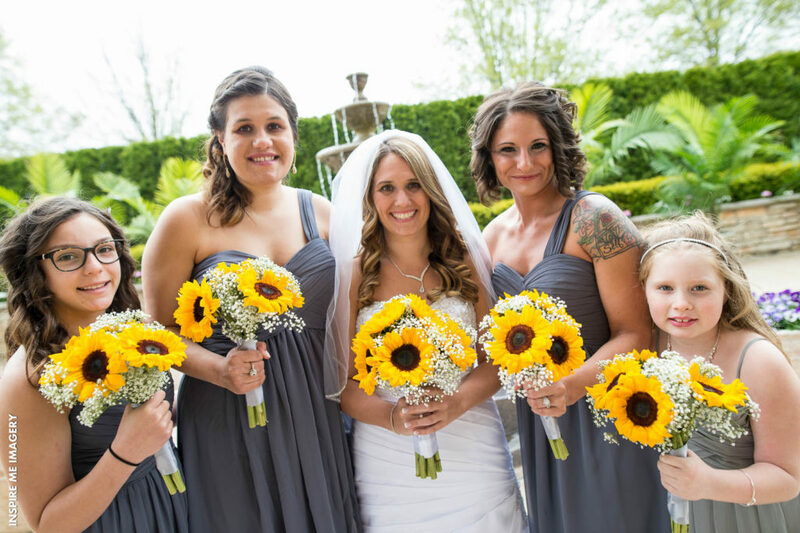 Use the above ideas for inspiration and work with a florist who can help your wedding bouquet design vision come to life.